Today I give you Proverbs 31:31. We don’t have city gates, per se, but the implication is a social center. For we denizens of the early 21st century, that might be Facebook, Twitter, or a personal blog like this one. My wife bought this pair of white canvas shoes at the local flea market. They were stained and she paid one dollar for them. 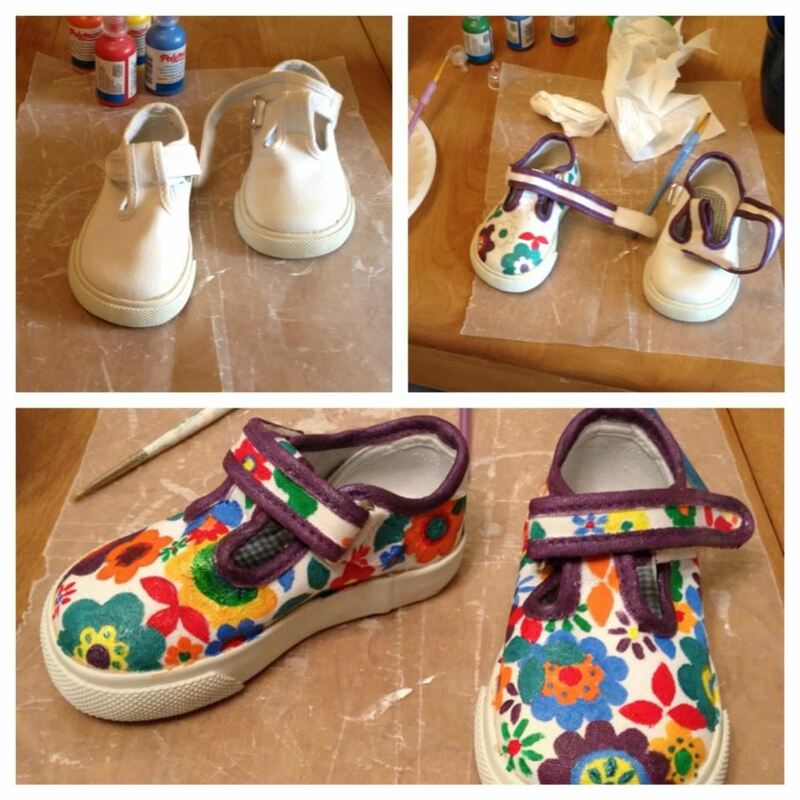 She bleached them and painted them, and now our daughter has a very cute pair of shoes to wear… when she gets a little older.